A view of the Edgar Thomson steel mill from the top floor of the Ohringer building. Photo by James O'Toole. The borough of Braddock is moving ahead with plans to turn the old Ohringer building into 37 low-income apartments for Pittsburgh artists. Gregg Kander, an investor and developer who is working pro bono on several Braddock properties, said that as of August 2 he and other organizers in the community have lined up several million dollars in conditional funding from the Pennsylvania Housing Finance Agency, a nonprofit specializing in housing resources across the state. The apartment plan is the latest effort in a broader push to revitalize Braddock’s commercial district, which has been famously hollowed out by the decline of the steel industry throughout the Mon Valley. Kander has helped to develop several properties around the borough. After financial trouble stalled the construction of Kevin Sousa’s restaurant Superior Motors on Braddock Avenue, Kander stepped in to help raise money and manage the development of the restaurant and the recent courtyard expansion. The restaurant, which also provides job training to Braddock residents, just celebrated its one-year anniversary and has received glowing praise locally and from numerous national media outlets. 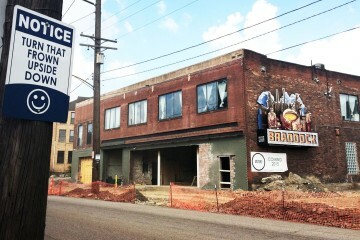 “[Mayor Fetterman] said ‘keep going,’ and he pointed me to develop Braddock’s crown jewel, the “Ohringer building,” a former eight-story furniture store in the heart of Braddock,” said Kander. Fetterman attempted a similar project at the Ohringer more than 10 years ago. From January 2006 until late 2007, approximately 30 artists used the space for their studios rent-free. But a cash shortfall forced an abrupt closure of the space in November of 2007. According to the Pittsburgh City Paper, several artists were unable to collect their supplies for several weeks. Speaking to NEXTpittsburgh inside the Ohringer building, Kander said the current project will avoid a similar outcome because it will have the benefit of more funds and a dedicated community group managing the space. 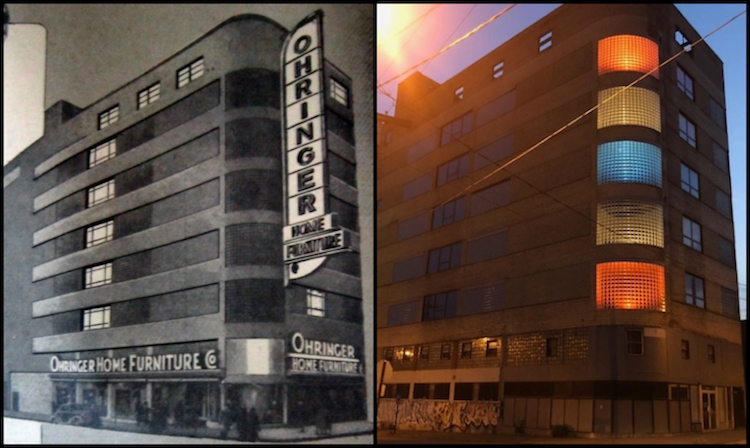 The Ohringer building in 1941 and today. 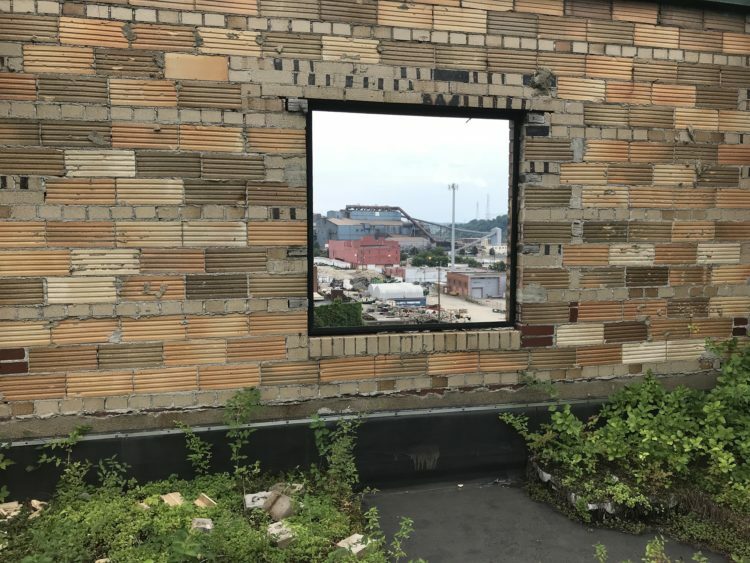 While the project has eager donors and unanimous support from Mayor Fetterman and the Braddock Borough Council, some hurdles still remain for the project which Kander estimates will take two years to complete. The next steps are confirming the economic feasibility of the project, getting final approval of the Ohringer’s historic tax credit status and finalizing the schematic design. Even so, Kander is optimistic. He’s already planning on turning the nearby Levitt building, also in Braddock, into a working space for the artists who will be living in the Ohringer.